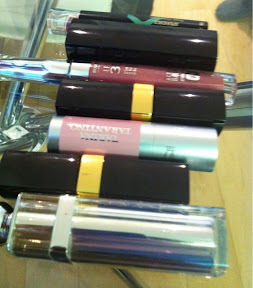 And so, what colours did this week’s lips entail? 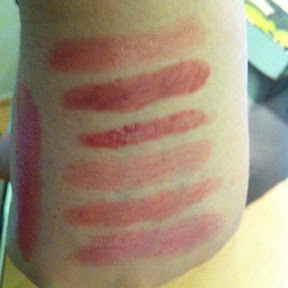 Swatches in (almost) the same order – the Dior is the odd one out, but there’s a in-depth review of that one coming up tomorrow. I love the Chanel Rouge colour. Really nice. 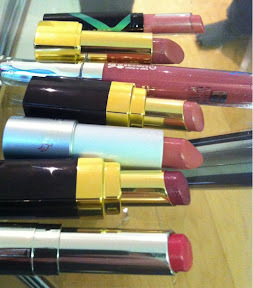 I get really panicky moving from winter make up to spring summer because I do like deep colours for lips. LOL that could be my lipstick collection. I'm very disappointed with Chanel Rouge Coco Shine. Nice colours but feels way too drying on the lips. I love these. It's the mix of seeing new lipsticks and colours, as well as realising that I'm not alone in picking out variations on a theme. Thank you, thank you!